Preparation: Bring a robot, a robotic arm, or a picture of a robot as a visual aid. 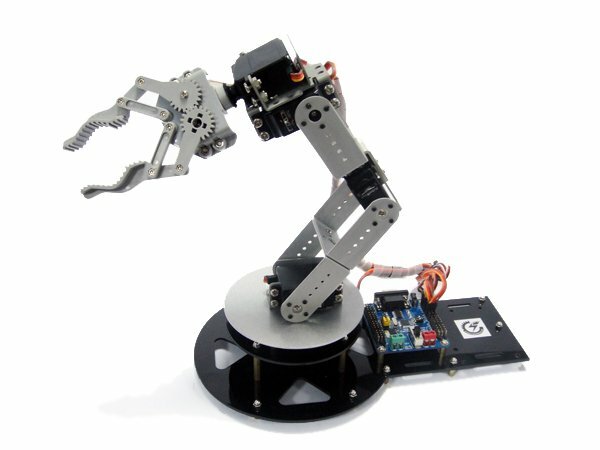 Has anyone here ever seen a robot, or had the chance to operate a robotic arm? (Let children comment. Option to show visual aid here.) Robots are very reliable as long as they’re assembled correctly. If you push the button marked forward, the robot will go forward. If you push a lever to guide a robotic arm to the right, it will go right. What would happen, though, if someone made a mistake in putting the robot together? What if a couple of wires got crossed and, when the robot was ready to go, it didn’t work quite right? You push the button marked “Stand,” and the robot sits. You push the button marked “Sit,” and the robot stands. You realize something is wrong, so you push the button marked “Stop,” and the robot takes off running and you never see it again. That would be bad, wouldn’t it? There are a couple of verses in Romans, chapter 7, that read, “I don’t understand myself at all, for I really want to do what is right, but I don’t do it. Instead, I do the very thing I hate… When I want to do good, I don’t. And when I try not to do wrong, I do it anyway” (v. 15, 19 NLT). Does this sound at all familiar? You’re playing with your brother or with a friend, and you’re trying to share and play nicely, but then suddenly he has something you want, or he does something you don’t like and some very angry words jump right out of your mouth before you can stop them. Or your hand shoots out and you find that you’ve just hit somebody. This is not what you had in mind when you first started playing. You don’t invite someone over to yell at him or hit him, you invite him over to play and have fun. It’s almost as if there are some wires crossed inside and you can’t stop yourself from doing things you don’t want to do. We’re not robots, though, are we? We can’t blame our mistakes on crossed wires. We can’t claim that someone assembled us the wrong way. We’re children of God, and we want to do the right thing, but sometimes we make mistakes. Sometimes we do just the opposite of what we want to do. So what do you think we can do when we feel like doing something that we know is wrong? (Let children suggest answers.) Jesus is the one who can uncross our wires. He can set us free from doing things that we hate. The next time you feel like you’re about to do something you know you shouldn’t, ask for help. Ask Jesus to help you do the right thing. Prayer: Lord, forgive us for our sins. Forgive us for doing things that we know are wrong. Help us to act the way that we know we should.